Brains and Spines at Mulago! 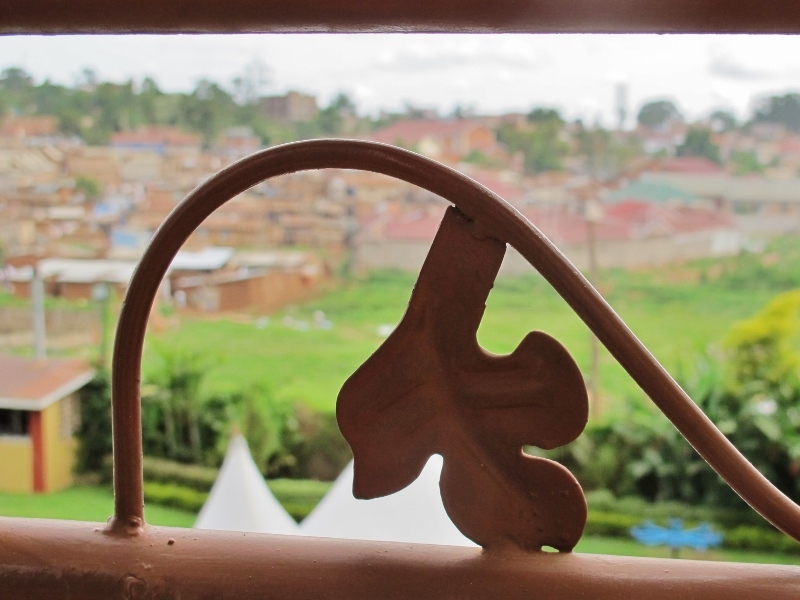 Well, I have officially been in Uganda for just over a week and as I write this first post of my summer fieldwork, I am listening to the Sunday worship services outside the window of my perfectly equipped $20 USD per night hotel. There are also cows, goats, ducks, and dogs outside my window, which I rather like. And now to the reason I am here this summer ... I am studying neurosurgical capacity at various hospitals in Uganda. The short background is that my graduate school mentor, Dr. Michael Haglund, established a neurosurgery training program at Mulago Hospital in 2008, where these photos were taken. He has been trying to increase the number of neurosurgeons in Uganda (there were only 4 for a population of 39 million people) by having a residency program IN COUNTRY (this way we attempt to avoid the dreaded brain drain). The first graduate (Dr. Alex Muhindo) actually finished this year and was able to perform surgery this week alongside Dr. Haglund – a moment of great pride for both of them. I also saw my first ever live brain this week. Gross. It was a new experience. I’ve always been interested in medicine and my parents would question why I didn’t want to go to medical school ... but I just didn’t think I would be able to keep it together with all the blood, bodily fluids ... and I think I was correct. I was getting very ... grossed out, no, lightheaded, no, at risk for a traumatic brain injury myself weak in the knees while watching these procedures. I'd love to show you a picture, but the skull actually bleeds quite a lot ... so instead I’ll show you a much less gory picture of a spinal surgery. The brain surgery that I watched was actually the first ever awake craniotomy ever performed at Mulago Hospital. Awake – meaning the patient was awake while their brain was being operated on. I shudder at this. Although I won’t be spending my entire summer watching neurosurgery, this was a great experience this week and I’m loving Uganda so far. I’ll be back next week with more thoughts, but for now I’ll leave you with what I’ve learned. You can see the heart beating through the brain (And when I see this I feel like my heart is beating through my feet and I must lie down).